Constructure your 3D JIJI puzzle in a sitting pose. You can turn his neck to face different directions when completed. When assembled measures about 3 2/5-inches tall x 2 1/3-inches wide x 1 3/4-inches long. 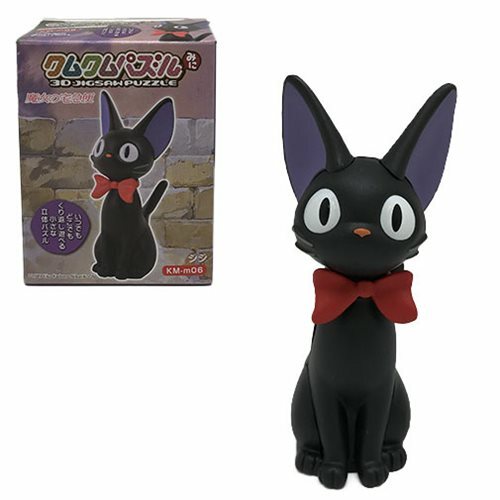 The Kiki's Delivery Service Jiji Mini 3D Puzzle makes a great gift for Studio Ghibli fans. The puzzle has 10 pieces Ages 14 and up.